2012: Like many aspirations, the dream to establish a place of worship grows slowly into reality, unfurling from unpretentious seeds into a multipetaled blossom of perfection through a gradual process of fruition; honed by nurturing, care, as well as careful guidance and oversight. The establishment of the society, founding of the original Hindu Mandir, and building of the new Mandir in Maple Grove was such an endeavor, living as a seed of hope in the hearts of the community members for many years, slowly growing stronger and more beautiful over time. The society really blossomed over a period of time and celebrated its Silver Jubilee in February 2004. The early 1970s, Hindu families in Minnesota sought a place of worship where they could connect with one another, where their children could learn about religion and culture, and their identities, as Hindus, could be preserved. Lacking a formal location for conducting such activities, several families began to meet on a weekly basis in each others’ homes, where they would study the Gita, conduct puja and celebrate holy festivals. This tradition continued through the years, and a close bond of friendship materialized amongst these Hindu families who came together to honor their faith on regular basis. 2010: By the late 1970s, an innovative idea was envisaged: the establishment of a formal society whose purpose would be to celebrate the richness of the Hindu faith and to preserve the age old Hindu customs and traditions within Minnesota’s Hindu community. 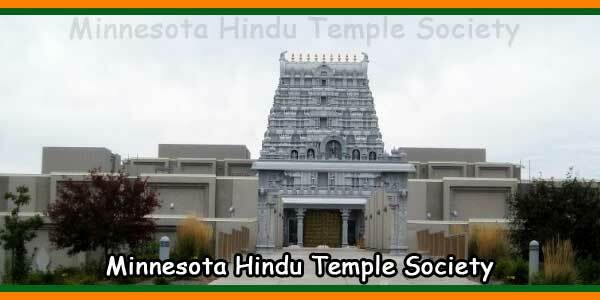 From this concept, the Hindu Society of Minnesota (HSMN) was born and was established as a non-profit organization within the state of Minnesota in 1978. The first Constitution & Bylaws of the society were drafted by Dr. Krishna Saxena, Dr. Shashikant Sane, Dr. V. Premanand and Dr. Surender Chaudhary. At that time Dr. Saxena was elected as the President, Dr.Sane as the Secretary and Dr. Chaudhary as the Treasurer of the Executive Committee. 2005: A century-old church in northeast section of Minneapolis was identified as the potential location for a formal place of worship for the members of the society. On February 2, 1979, a purchase agreement was signed to legally make 1835 Polk Street NE a property of the Hindu Society of Minnesota. Three couples namely Shanti & P.C. Mangalick, Kumud & Shashikant Sane and Kusum & Krishna Saxena initially contributed $5,000 apiece to meet $15,000 down payment for the purchase of the property. 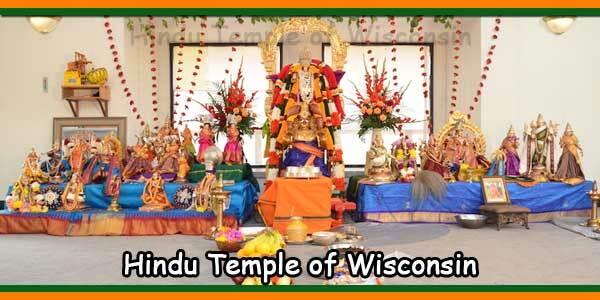 The antiquated church became the Hindu Society of Minnesota’s new Hindu Mandir. 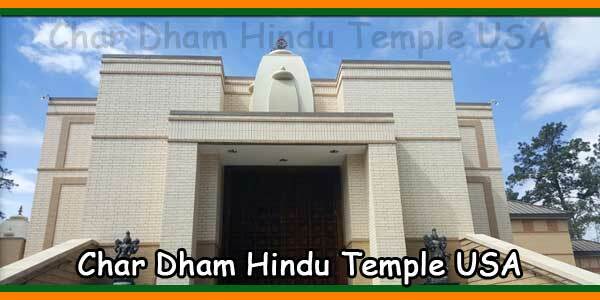 On February 17, 1979, first formal Hindu prayers and services were performed in the Hindu Mandir in the presence of ten families. Framed pictures of Sri Ram Parivar, Sri Krishna, Sri Ganesh, Sri Saraswati Sri Laxmi and Sri Mahadev adorned the main dais as the society inaugurated this new temple. In the fall of 1979, Dr.Krishna Saxena was formally elected as the chairman of the Board of Trustees, Dr. Shashikant Sane was elected as the Vice-Chairman of the Board and Dr.Padmakar Dixit was elected as the President of the Executive Committee for the year starting 1980. The following ten individuals were the Board of Trustees, by the end of 1979. Mr. Srinivas Kolatkar, Dr. Suresh Chandra Lagalwar, Mr. Amir Chand Mangalick, Dr. V. Premanand, Dr. Kamal Kumar Sahgal, Dr. Mrs. Kumud Sane, Dr. Shashikant Sane, Dr. Krishna Mohan Saxena and Dr. Mrs. Kusum Saxena. The first formal meeting of the Board of Trustees took place on December 12th, 1979. All these original members of the Board of Trustees remained consistent supporters and were duly recognized 25 years later in February 2004. 2000: The first major renovation of the Mandir took place in 1979, under the guidance of Mr.Arun Shirole. 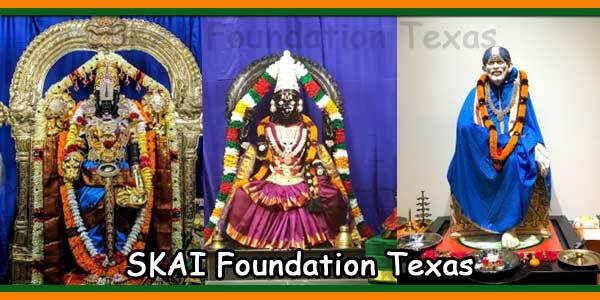 The first murti of Sri Ganesh was donated by Drs. Kumud & Shashikant Sane and their family in India and was installed in 1983. Sri Mahavir’s murti was donated by Drs Ranjit & Renu Jain in 1984. Subsequently several other murtis followed. The tradition of a week long Hindu Youth Camp was initiated in 1983 and has continued ever since because of the dedicated volunteers. Hindu Philosophy, Hindu Values, Yoga, Meditation, various sports including Tennis, soccer, softball, swimming, leadership skills were taught at the camp. In 1986, the second major renovation of the Mandir was undertaken, under the architectural guidance of Mr. Shashi Suri. By the early 1990s, the size of Minnesota’s Hindu population had grown tremendously, and consequently, the framework of the Hindu Society was rapidly evolving. The number of attendees at the Mandir’s weekly satsangs and pujas was growing exponentially, and the small Mandir would be filled beyond its capacity during the celebration of many holy festivals. The Mandir now offered a variety of services to the Hindu community, in addition to the annual youth camps, and weekly spiritual discourses, Ski trips, Anand Bazars larger scale celebrations of major Hindu festivals, and the Mandir’s official publication, the Patrika became regular features. The Celebrations of religious festivals such as Diwali and Holi, once relatively small affairs, became elaborate community events under the skillful planning and direction of enthusiastic and talented volunteers. 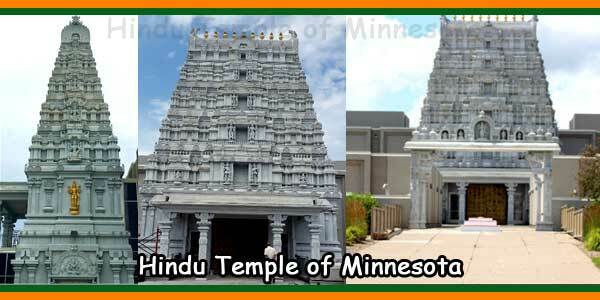 2012: With the simultaneous growth of the Hindu community in the Twin Cities, the Hindu Society of Minnesota came to the realization that there was a need for a much larger facility in which to hold temple functions. During the 1990s several society members, in conjunction with the society’s Board of Trustees and the Executive Committee, began an extensive search for an appropriate piece of land on which a new Mandir could be built. 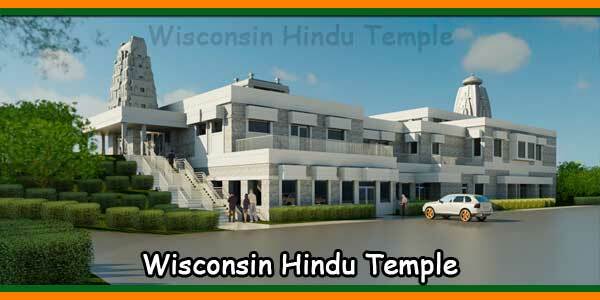 In December 1998 Asha & Mahendra Nath, Kumud & Shashikant Sane and Kusum & Krishna Saxena felt that there was a great sense of urgency in purchasing an ideally situated 80 acres of land parcel in the city of Maple Grove which potentially could be the perfect site for the new Hindu Temple. They agreed that this purchase could be shared amongst friends if the Board of Trustees of the HSMN felt otherwise. Mr. Nath personally provided the down payment with the purchase offer. The Board of Trustees of The Hindu Society of Minnesota unanimously approved the purchase of that land parcel at the very next meeting of the Board four weeks later. Initial Bhoomi Puja was performed by Swami Kartikeyan on the grounds of the new temple site in Maple Grove during the summer of 1999. Subsequently an additional formal Bhoomi Puja was performed in the summer of 2001, followed by Sudarshan Homa for Sri Vishnu. In the following years, two major religious festivals were conducted on these very grounds to increase the sanctity of the land namely, Sita Ram Kalyanam in 2002 and Sri Krishna Mahotsava in 2003. All events were attended by hundreds of devotees in joyous anticipation of the new temple. By 2003, the Trustee membership of the society had grown from its original 10 members in 1979 to nearly 130 members. This group of individuals was the lifeblood of the organization, providing, through their annual dues and additional donations. It was at this time Trustee Executive Council (TEC) was established as the overall Governing Body of the Board of Trustees. Fifteen trustees were elected to represent the TEC with Umesh Singh as the Chair. 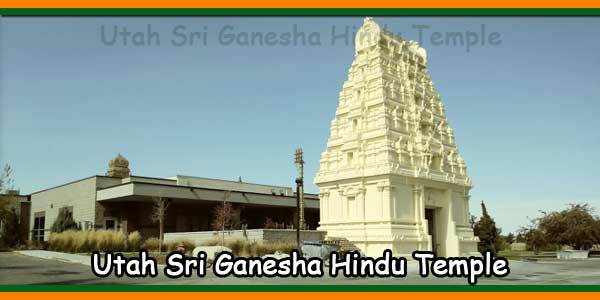 On Vijaya Dashami, October 4, 2003, the ground breaking ceremony was held at the site of the new Mandir in Maple Grove. Many devotees attended, as the Society formally began the building of the new 43,000 square foot Mandir with Leo Daly Inc. as Architects and Rochon Corporation as the Building Contractors. The construction committee consisted of Dr.Shashikant Sane as the chair, Byron Byraiah, Swami Palanisami, Umesh Singh and Narender Venkata. Dr. Sane summarized the pertinent portions from the ancient Hindu Vastushastra and familiarized the selected Architects and the Builders so that they could follow very closely the key principles, the dos and don’ts. Mr. Umesh Singh provided much needed leadership and administrative skills. Palanisami oversaw the construction process meticulously through its every phase and introduced several new ingenuous corrective techniques. Byron Byraiah in addition to supervising the architectural details kept in touch with city administrative staff & elected officials to ascertain that all the city & state laws were strictly adhered to. Narender Venkata with his superb managerial & interpersonal skills brought the best creative art out of the Shilpis brought by Padmashree Muthiah Sthapathi who by then had joined the process of making this superb temple into an authentic Hindu Temple from within as well as from outside. He is one of the foremost scholars of building classic Hindu temples. He has built scores of them around the world. 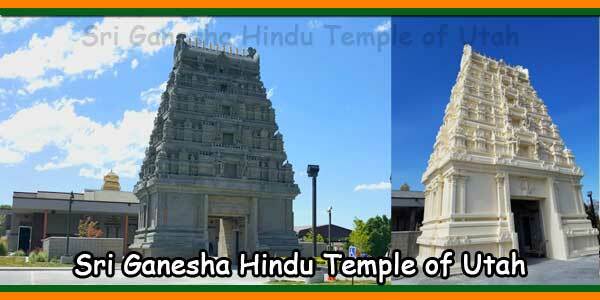 He has built and decorated every shrine of worship in the new temple in Maple Grove to represent a proportionate human form in perfect harmony with the central icon representing the Divinity as described in the Vastu Shastra. The entire Hindu Community has a great deal of appreciation for the shilpis who with their dedication, devotion and God given skills hand crafted all the beautiful pieces of art that adorn every shrine of worship and their Gopuras with unique and fascinating artistic features. Each of these temples in the Prayer Hall is the replicas of famous temples from India. The art work is so beautiful and unique that it will continue to touch devotees’ hearts in deep appreciation for generations to come. Almost three years later, from June 29, 2006 through July 2, 2006, the first Kumbhabhisheka was performed at the Hindu Mandir. After the initial ceremonies of Dhanyanivas (Emersion of the statues in rice and other grains), and Jalanivas (emersion in water),, the grand Mahotsava of Kumbhabhisheka and Pranapratishtha was concluded through multitudes of sacred rituals over four days. Several learned priests around the country as well as our own priests conducted the Poojas and Havans according to Agama Shastra. Mr. Varada Ramanuja Chari was invited as the Head Priest from India specifically for this purpose. The Kumbha Abhishekam literally means anointing the newly built temple with holy water from Kumbhas (vessels) that has been sanctified and charged with spiritual energy. Abhisheka means bathing or sprinkling and is derived from the Sanskrit root “sich” meaning to sprinkle. The prefix ”Abhi” means all around. Thus this grand celebration invoked spiritual energy (Prana) into Vigrahas (Multiple Sculpted images in Marble or Granite of the same single Divinity namely Brahman) and transforming them into vivid Incarnations of Divinity. The shrines of Sri Ganesh, Sri Jagannatha, Sri Varadaraja, Sri Devi & Sri Bhu Devi were consecrated on that occasion After 45 days of continuous Poojas after that initial celebration, these shrines became truly JAGRUT and have been blessing the devotees and will continue to bless the humanity for centuries to come. Shrines for Sri Ram, Sri Laxman & Sri Sita and Shri Hanuman were consecrated with similar Kumbhabhisheka & Pranapratishtha Ceremonies which were conducted on March 23 -24 and 25, 2007. Shrines for Sri Radha-Krishna, Sri.Meenakshi (Sri Parvati), Sri Shivji, Sri Subramanya, Sri Balaji, Sri Ayyapa, Sri Satyanarayana and Navagrahas were consecrated with identical Kumbhabhisheka & Pranapratishtha ceremonies which were conducted from June 14th through 17th 2007. Shrines for Sri Adi Nath, Sri Parshwa Nath and Sri Mahavir underwent Kumbhabhisheka ceremonies on July 20-21- and 22, 2007. The Shrines for Sri Dattatreya, Sri Durga and Sri Saraswati were consecrated with similar majestic ceremonies which were conducted on October 18th through 21st of October 2007. Shrines for Sri Bhairava & Sri Vishwakarma were consecrated in similar fashion on the weekend of July 4th 2008. The centerpiece of this beautiful new facility is a huge, sunlit Prayer Hall with decorated pillars, polished granite floors and 21 ornate shrines. These shrines are temples within a temple each honoring a different representation of the same single God. God is only one; people call the same God by different names. The largest of the shrine is dedicated to Sri Vishnu, one of the most revered figures in the Hindu faith. Intricate designs and handmade figures of musicians and lions speckle the shrines crown. Brightly colored string and strands of fresh flowers liven up the beautiful architecture. Inside the temple is a standing depiction of Vishnu who is blessing his devotees and is appropriately called Varadaraja. Flanked on the either side of Sri Varadaraja are two Shrines, one representing Mother Earth, Sri Andal or Sri Bhu Devi, and the Goddess of Prosperity, Sri Laxmi (Sridevi). An important fact and as a sign of immense respect, the sculpture of Sri Vishnu himself is 1” shorter than the statue on which he is modeled. That original stands in a 1,500-year-old Varadaraja Perumal Temple in Kanchipuram, southern India. The local Hindu community chose that temple as the inspiration for this one. This standing, blessing divine form of Sri Vishnu is the first of its kind on the American Continent. This deity became the central deity because of the strong sentiment VISHNU on the part of the majority of Devotees in the Twin Cities area. The main entrance of this beautiful Hindu temple faces east, and consists of two sets of massive, hand made brass-covered copper doors when opened allow the light of a summer sunrise to shine on the face of the central deity during special festivals and celebrations. In front on the east are one large man made lake with several large watershed areas adjutant to it. A fresh water stream runs through the temple property on the north side. The temple is situated at the highest elevation on the property with gradual incline towards the east and north side as suggested in our age old and time tested Vastu Shastra. While careful attention was paid to the thousands of years of religious tradition, this building also represents modern design. The small lakes, for example, are also the source of water for the site’s lawn sprinkling system. The outside walls are designed to look like stone, but they’re actually a never-before-used kind of pre-cast concrete made right in Maple Grove. These panels were a practical response to a problem temple designers in India never have to worry about cold North American weather The doors and windows have a simple design but a powerful message for humanity. A lighted candle represents light of Consciousness. It represents the human potential where he/she moves from untruth to truth, from ignorance to knowledge, from darkness to enlightenment and finally from death to immortality. The Rajagopuram has some unique features to counteract the extreme nature of the Minnesota weather. Mr. Palanisami is making some major modifications in the construction materials and processes with encouragement from Muthiah Sthapathi. At the end, Rajagopuram would retain its classic beauty in front of this Hindu Temple but it would be enormously stronger to last for a very long time. In addition to the sunlit Prayer hall upstairs where many devotees are seen deeply engrossed in silent prayers and meditations, a large Auditorium with a capacity of 450, a dining hall with a capacity of 250 and a fully furnished commercial kitchen. There are additional 4 conference rooms, Board Room, Library and a meditation room. A gift shop is being planned. We witnessed the remarkable evolution of the society since the Sthapana of the first Mandir in 1979. Simultaneously, we look to the future and see the promise of even greater achievements to come. The journey of the society has been extensive, and not without its trials and tribulations. However, along with the burden of difficulty and the angst of struggle, the passage of time has brought countless triumphs and gratifying rewards to the devotees of this blessed community. On April 5th 2006, barely a few weeks before the first Kumbhabhisheka, the mettle of the Hindu Community was tested when the new Hindu Temple near completion was vandalized. Several sanctified sculptures which were getting ready to be consecrated were decapitated, dismembered, and disfigured. The walls and columns were greatly damaged by a baseball bat at 125 different places. The Hindu community rallied together, made certain that the vandals were apprehended and tried in the court of law. After the two young men pleaded guilty to their heinous acts of “Stupidity” as they described, the leadership of the Hindu Society appeared on behalf of these two young men and pleaded for the punishment which included a suspended sentences where the youngsters can pursue the life of productive citizen, rather than becoming hardened criminals through a long jail sentence. Of course for that the youngsters had to choose the right path of performing community service in the very temple that they had damaged. The entire American Society was privileged to see the Hindu Values of truth, Non-violence, Love & Compassion expressed in real life through these actions of the Hindu Community. The Hindu community is totally cognizant of the fact that nothing worthwhile happens without the divine GRACE. It has been bestowed on our community from countless helpful citizen and very supportive city counsel members, mayors and the administrative staff of the City of Maple Grove for which we are eternally grateful. As the Hindu Society of Minnesota embarks on this new phase of the society’s existence, everyone in the Hindu Community faces an unknown future because of the fairly large debt load but knows that with devotion, determination, unity, and hard work, ingenuity and generosity, the society will endure and succeed in its endeavors, and the Hindu Society of Minnesota will continue to be an interminable blessing in the lives of the entire community at large and the Hindu community members in particular for many generations to come.